which was shown to us in the July issue by Hels Sheridan. Just make sure you use a clean blending tool pad to spray the water onto so that it does come out onto your background. This has fast become one of my favourite techniques to use. It is simple, yet effective. It adds so much depth to a card without having to be too clever! because I haven’t made a green card for ages. Then the image (one of my earliest stamps from Crafty Individuals) seemed to fit the mood of the colours. And that is when my mind (or the card?) took me on a bit of a trip. I couldn’t help but think of all the bad things going on around the world at the moment and how it is really impacting on the children. So from that came the words and the hearts…with some grounding. Strange how sometimes, if you let it, the card can take you on unexpected journeys…and you end up in places quite unexpected. so please follow the links on the Craft Stamper blog to see the fun they have had. 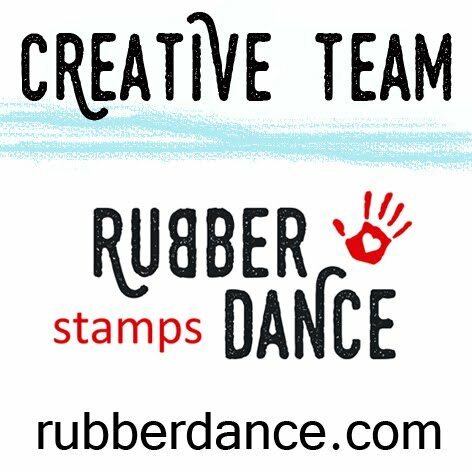 PLUS: The Design Team will have a look at all your gorgeous work and choose their top 3…and the the overall winner will get published in Craft Stamper magazine! ~ Crafty Girls Challenges – Anything Goes! Lovely card! I can't get over how much that image looks like my cousin when she was young! WOW! You picked a wonderful technique and created a beautiful card. Such a great technique that and your card looks fabulous! Love the girl stamp and the way you finished it looks brilliant! Love the thought behind it too!! Beautiful card and heartfelt word. Beautiful card, Dot! I love the pops of red and white, and such a thoughtful message. Dot, love the technique and the colors. Thanx for joining us this week at Sassy Studio Designs. Wow don't know that technique but sure sounds like fun!!! Love the look that it gave to your card! Beautiful card, the background looks wonderful. Love the image and sentiment. A very effective technique and the flowered frame softens everything beautifully. Such a wonderful mixed media creation. Love how you did the words with the hearts. This is so perfect for our POSSIBILITIES theme this month. Thanks for sharing your talent with us and good luck. Wow, I have got to try this technique! Your project is gorgeous, and your written thoughts inspiring. Absolutely perfect for the theme of Possibilities in the Path of Positivity challenge blog.